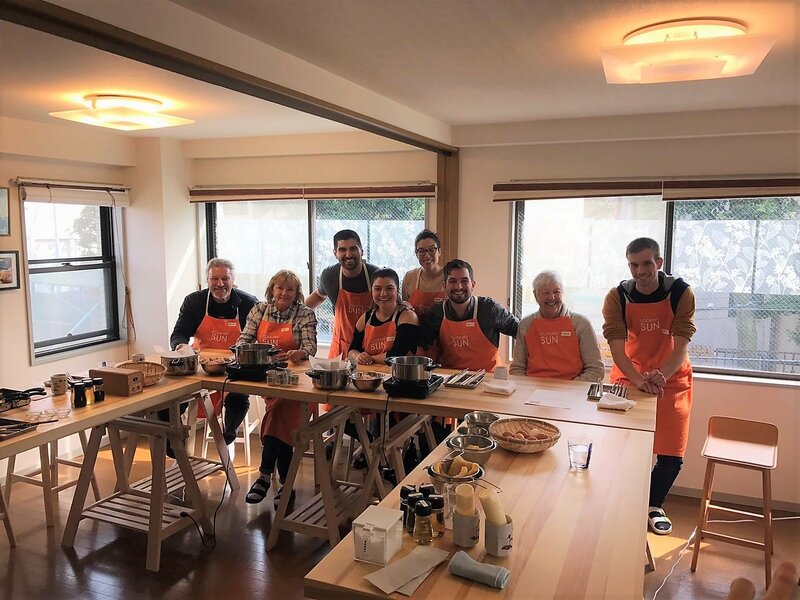 We opened our first Japanese cooking school in Kyoto on April 2014, since then we welcome many people from around the world every day in our Tokyo and Kyoto studios. 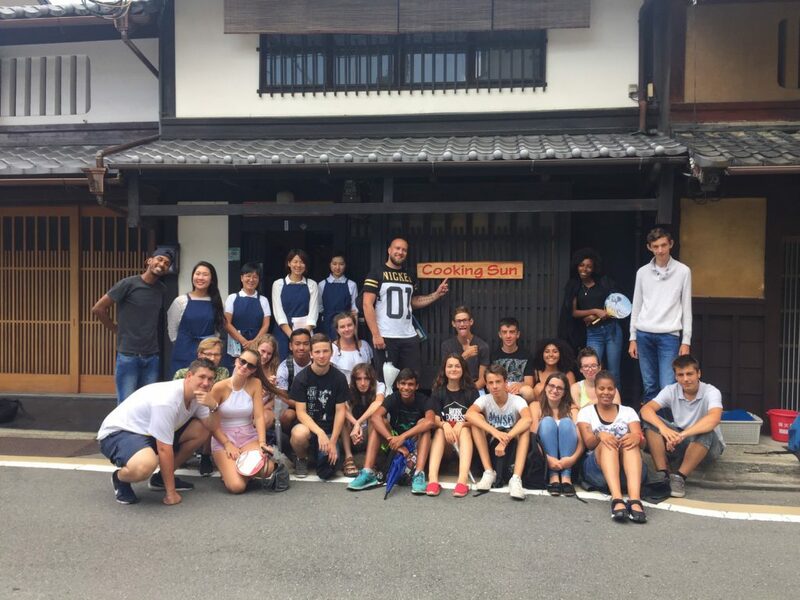 If you are looking for an authentic experience in which you can learn how to cook Japanese cuisine from our local instructors, please come and experience our class. Our Japanese cooking courses and cooking lessons are all delivered by our local experts who all speak English. You can choose either one (or both) depends on your plan. Tokyo studio is just 5 min. walk from JR Shinanomachi Sta. in Shinjuku area. And Kyoto studio is located in the downtown of Kyoto and 10 min. walk from Shijo/Karasuma Sta. 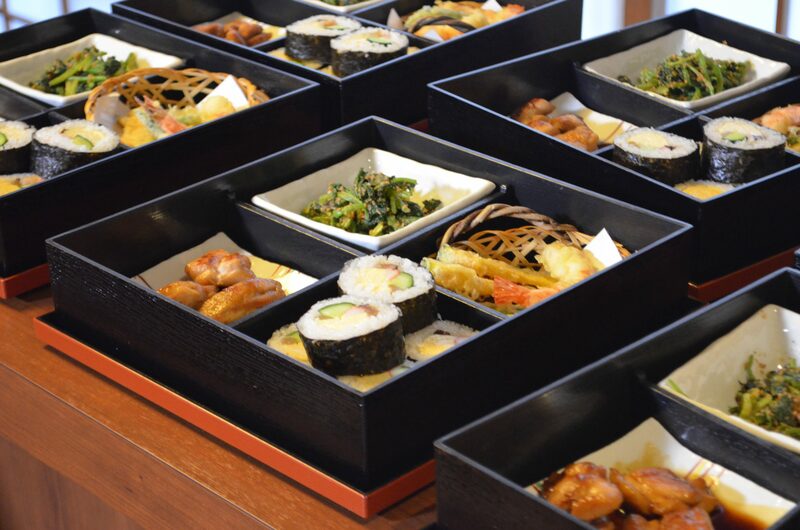 Our Bento class, Izakaya class(Kyoto), Sushi Class and Wagyu Kaiseki Class(Tokyo) are fun, educational and delicious. Never worry that you may be one of 12 people. Our classes are small and we believe hands-on is the most enjoyable style. Our local instructors are friendly, speaking English. *Dear English non-native people, please don’t worry if you are not confident in your English, because our lessons only uses basic English. If you see it you will understand! 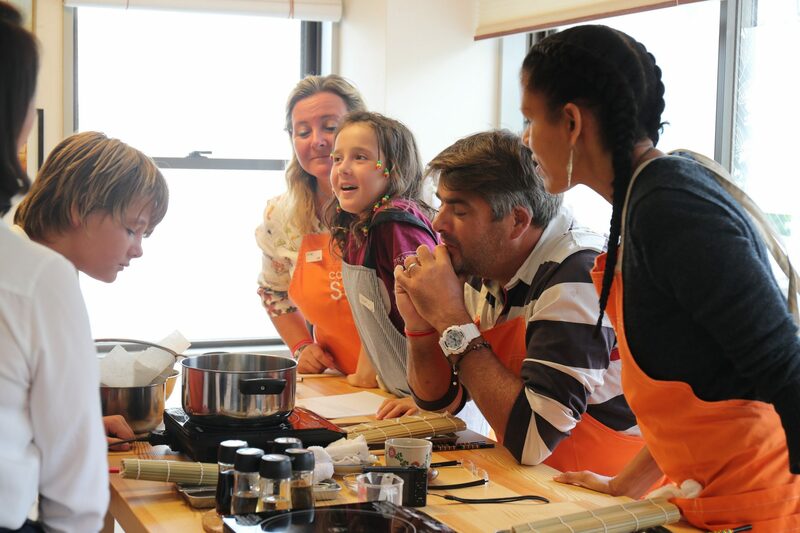 How about giving the gift of a cooking class for a birthday, honeymoon trip, or just surprise activity for someone special? Many people have tried this and it works very well! We send you gift certificate which you can give to your important ones. They can tell us what day they want to come to our cooking class later. 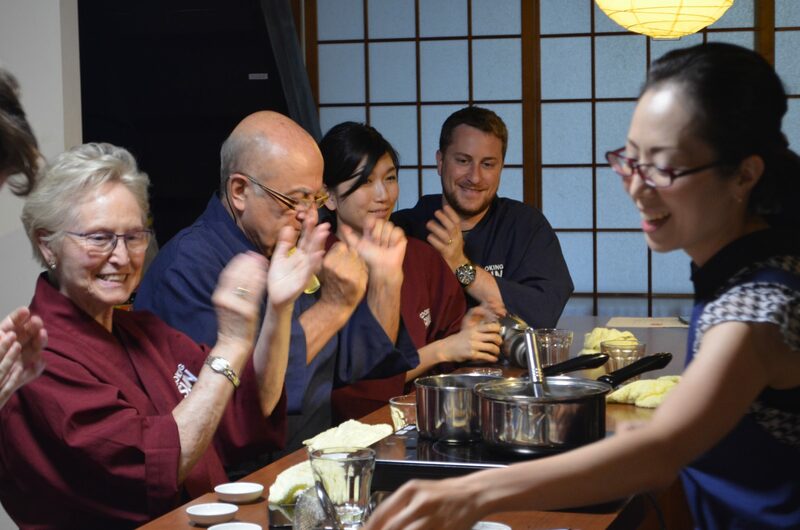 If you want to learn seriously and privately about Japanese cuisine, Kyoto studio can offer professional chef class. We welcome groups from children to adults and from all around the world! If you are planning for corporate team building, client entertaining and cookery events etc…please check here. Thanks for the best class and being so accommodating of the kids. We all loved it and was a highlight of our time in Tokyo. It was a super fun experience that I would highly recommend to all others looking for a bit of a more immersive experience while in Japan. Thank you so much for a wonderful class and delicious meal!! We so enjoyed the experience!! I’m Italian chef with experience in kitchen for several years, and still there were many things I learnt. I highly recommend Cooking Sun!